A Pivotonian is the old name for the people of Geelong – known in the Gold Rush era as Pivot City. We at The Pivotonian Cinema wish to celebrate Geelong’s unique character, screening quality films every day in stunning high-resolution Digital Cinema. Our films are hand-picked from around the globe and are complimented by our fully licensed Candy Bar offering local beer & wine with delicious snacks to compliment your movie, at affordable prices. The cinema is fully Disability Compliant with lift access, toilet facilities & wheelchair spaces in the theatre. 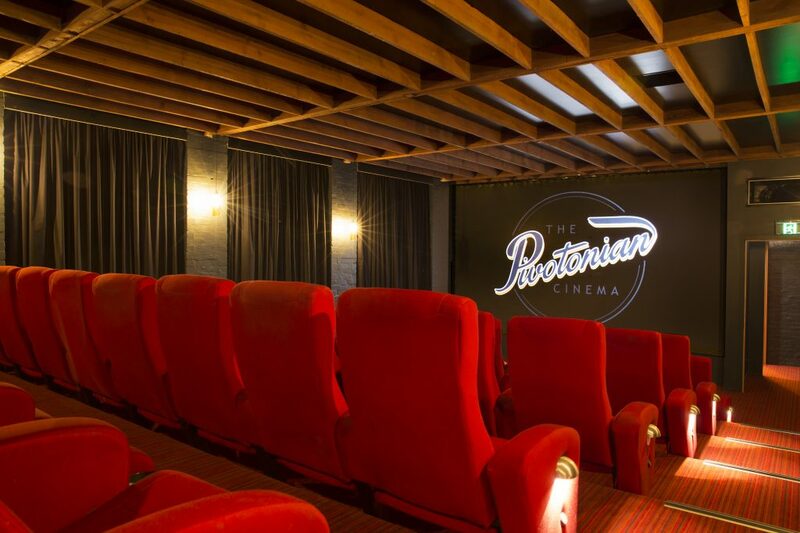 The theatre has Digital Sound & full Climate Control to enhance your cinema experience. Why not try taking Public Transport to Pivot Cinema? 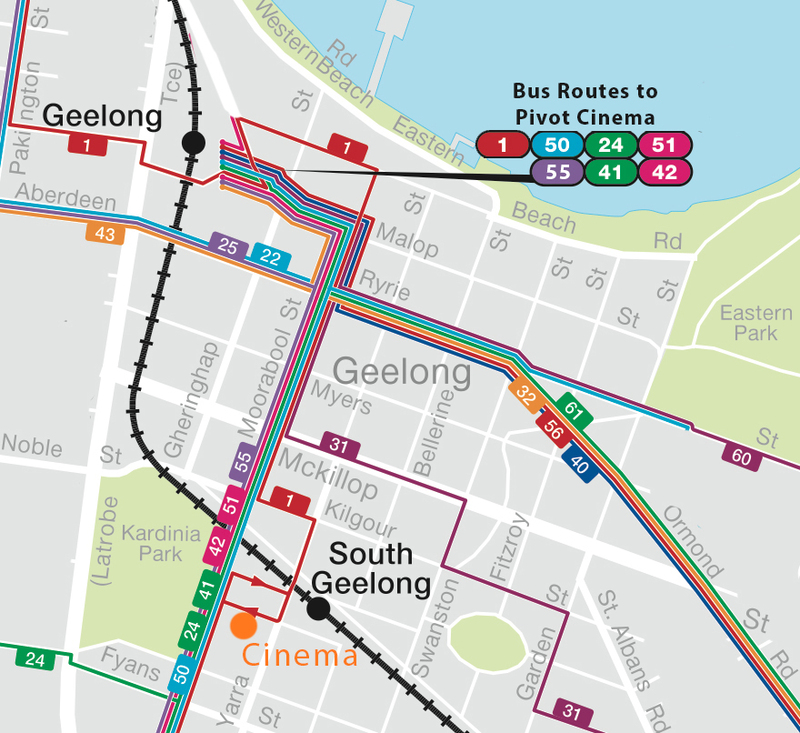 The area is well serviced by 7 major bus routes and South Geelong station is at the end of the street. We recommend taking PT on AFL football game days (approx. 7 times a year). How do I become a Pivotonian Member? Membership can be purchased at the Box Office. It is $20 and allows you to purchase tickets at $10 per head for 12 months from purchase. Yes -We have a fantastic German-engineered lift for your convenience. No -Seating is on a first-in, first-serve basis. We open the theatre approx. 10mins prior to the session. Do you have Mums & Bubs screenings? Yes -Once a month we hold a Mums & Bubs screening for you. Check the website but this is usually at 11am on a Tuesday. Do you screen live Opera and Theatre sessions? Yes -The Pivotonian hosts both Metropolitan Opera and National Theatre Live productions. Please note ticket prices vary and are substantially higher than our usual film programme. The Member discount does not apply. Can I host a Fundraiser, Private Booking or Event at the cinema? 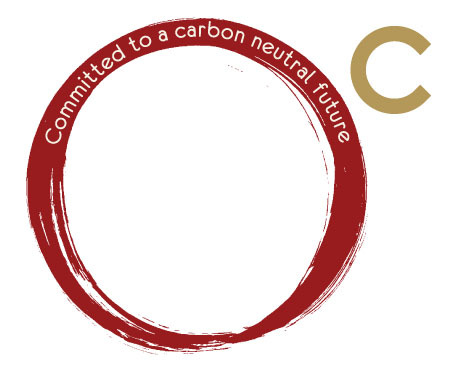 Yes -We offer a range of Special Events and Fundraiser options. Email jess@pivotcinema.com.au for more information.